As you may know, I have been working over the past year as a software developer in the healthcare industry. In addition to working on imaging software, I recently started work on developing the automated testing framework. The previous person who had been investigating it left our company abruptly, so we had to scramble to make sure the knowledge transfer would happen. By the time we got around to looking at the code base, there was a decent foundation of the framework, but there were also deficiencies and incomplete work. To give some background, this testing framework is keyword based. This means there are special words used to automatically take actions or verify the results of actions. While there are built in keywords as well as third party ones, we also have to implement our own to work with our client. This is where our deficiencies lie. Personally speaking, automated testing has forced me to grow as a programmer, as it requires a different way of thinking when coding these tests. However, I think the hardest part has been the fact we lack a clear goal or milestone. While it is obvious we want to expand our library of keywords while increasing test coverage, I do not feel like there is a clear next step. The lack of knowing at least a tangible next step makes me feel like our wheels are spinning. Today in our hands is the Seasonic FOCUS Plus 850 Gold 850W. When the lineup was announced, it was meant to be a Seasonic unit for the masses. With a clear goal of performance with affordability, the focus is there. However, does this unit actually deliver on its promises? Let us read on to find out! 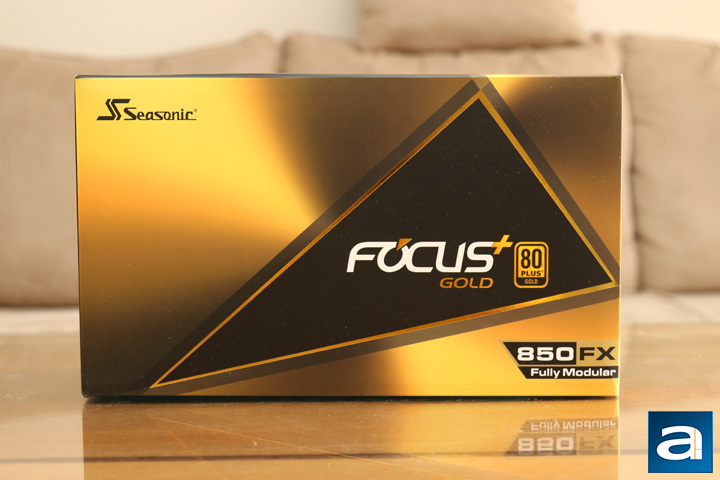 Today's review unit of the Seasonic FOCUS Plus 850 Gold 850W arrived from Seasonic's American offices down in Azusa, California. 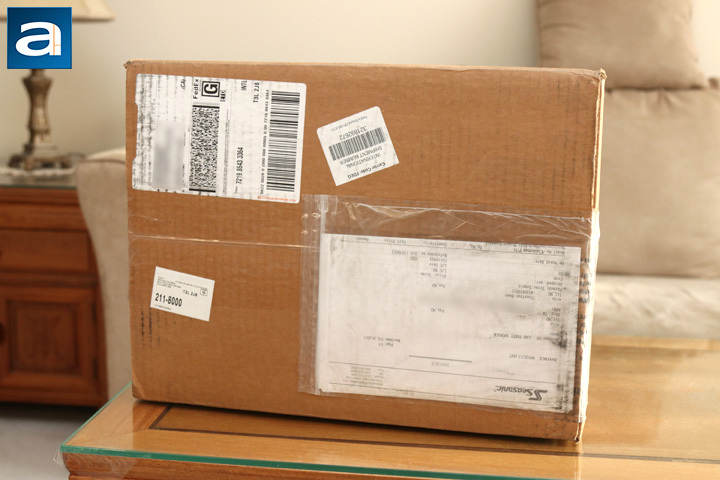 Arriving in a huge brown corrugated cardboard box, this parcel came to us via FedEx and their International Ground service. The box arrived in pretty good condition, with only some slight damage on the corners of the box. Interestingly, the inside of the box was lined in not bubble wrap or air pockets, but UPS shipping envelopes. Thankfully, I can use these for shipping other things later on, so I guess this is a bonus. Otherwise, this packing material was sufficient in keeping the retail container of the power supply safe. Pulling the retail container out, the box of the Seasonic FOCUS Plus 850 Gold 850W is quite stylish. Rather than displaying any image of the power supply, we have a simplistic look with a yellow-gold and black box theme. The front holds the logo of Seasonic on the top left corner. The FOCUS Gold product name is on the front too, with the 80 Plus Gold certification logo embossed with a shiny gold finish. The bottom also shows off the "850 FX", which signifies this is the 850W unit. This is their highest wattage unit in this lineup, as Seasonic also has power supplies of 550W, 650W, and 750W. In addition, there is a FOCUS Plus Platinum lineup if you are looking for a higher efficiency rating. Around the box, we have some features and specifications, including mentions of Japanese capacitors, a compact design, and a ten year warranty. 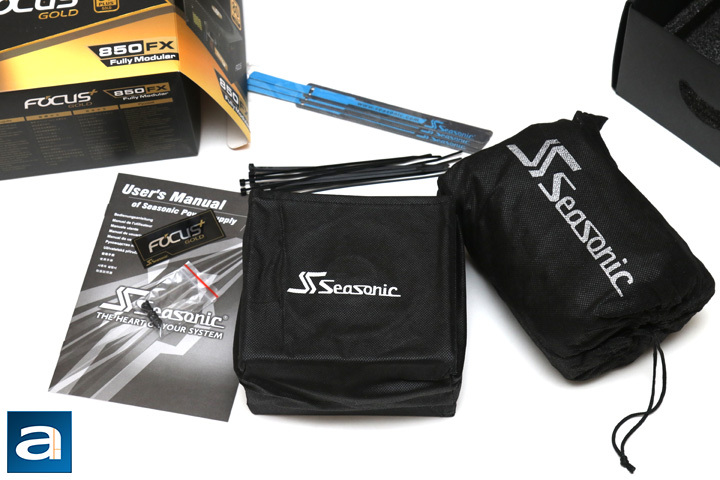 The Seasonic FOCUS Plus 850 Gold 850W's retail packaging can be opened by a flap attached on the right. Upon opening the box, you will find everything neatly organized. The power supply is located inside a fabric bag on the right, with the cables in a drawstring bag on the left. All the other accessories are inside a resealable clear plastic bag. Out of the box, you will receive the FOCUS Plus 850 Gold 850W power supply itself, modular cables, AC power cable, Velcro straps, zip ties, four screws, case badge, sticker, and a manual. Despite being a cheaper unit than Seasonic's flagship lineup, we pretty much have the same accessories here, which is great to see. posted 13 hours and 40 minutes ago, with 1 posts. posted 13 hours and 41 minutes ago, with 7 posts. posted 13 hours and 43 minutes ago, with 6 posts. posted 13 hours and 45 minutes ago, with 14 posts. posted 13 hours and 46 minutes ago, with 58 posts. posted 13 hours and 46 minutes ago, with 13 posts. posted 13 hours and 46 minutes ago, with 10 posts. posted 13 hours and 47 minutes ago, with 12 posts.